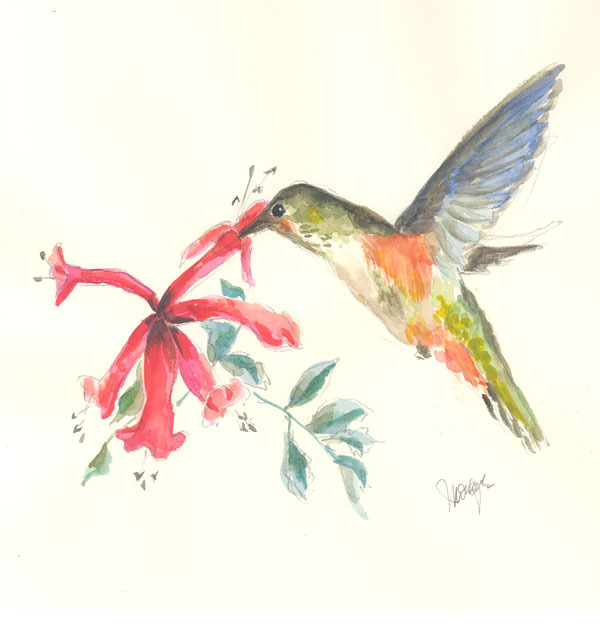 Hummingbirds Rescue Organization “Jewels o f Nature, Hummingbirds in Your Garden” Hummingbirds Rescue Organization (Jewels of Nature is a 501c3 Organization) is dedicated to rescuing, rehabilitating and releasing lost and orphan hummingbirds. HRO encourages and educates the public to impart a better understanding when to rescue and provides information for evaluating the birds’ welfare in order to prevent unwarranted displacement of birds. If you are interested in scheduling my program and talk, “Jewels of Nature, Hummingbirds in Your Garden” for your garden club, botanical garden society or a group that would be interested in knowing more about hummingbirds from a rescuer’s perspective, please contact me at my e-mail, monique@hummingbirdsrescue.org. I’ll share my personal experiences as a hummingbird rescuer. Learn how you can attract hummingbirds to your garden, patio or balcony. Learn when a hummingbird needs rescuing. There will be a PowerPoint slide presentation helping to identify, gain a better understanding and appreciation of the world of hummingbirds, “The Jewels of Nature,” in your garden. Welcome you to visit my FACEBOOK page Colibri Bijou for more images and information. It was a pleasure finally meeting you yesterday. You have been so kind to answer ALL my emails, text messages, and phone calls regarding the sweet baby hummingbird I rescued and brought to you yesterday. I immediately felt at ease and knew I had contacted the right person. Your knowledge, compassion, desire, and willingness to help Mother Nature shines brightly through you. Bless you for all you do and for all the little lives you save by giving of yourself.